TiVo may have been around for almost two decades, but the company continues to offer new and different ways for the user to control their TV viewing experience. 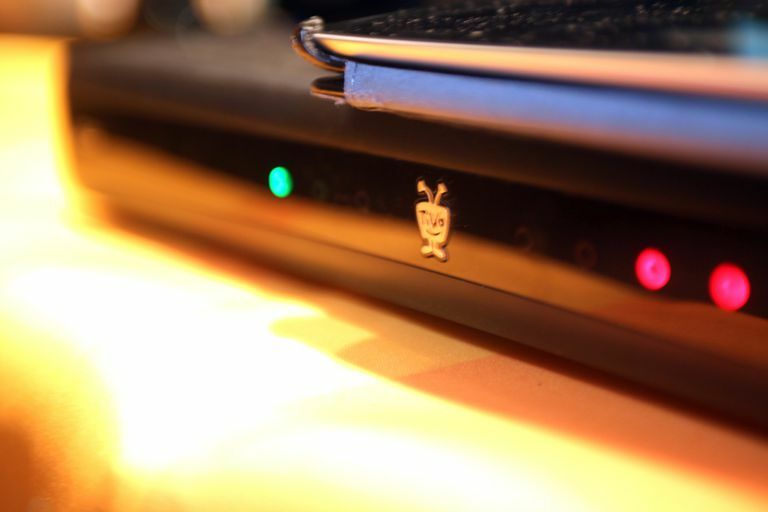 More than just a ​digital video recorder, TiVo has, in recent years, introduced home networking and broadband internet functionality, all designed to give TiVo users more and more features. This review of TiVo's top features highlights some of the best that the DVR pioneer has to offer today. One of the very best features on any digital video recorder is the ability to record an entire season of a TV show. Set up any show once to record the entire season and TiVo will continue to record the show until you set it not to. You can even have TiVo skip any repeats by setting it up to record first-run episodes only. The Wish List feature is a neat way to keep up with your favorite actors or directors. For example, simply program your TiVo to search for "Harrison Ford" and all his movies, interviews, biographies, and more will show up in your "Now Playing" list. Wishlist Searches isn't just for actors or directors either -- you can also search by sports teams or subjects like cooking or yoga and any shows relating to those categories will be recorded. You forgot to record your fave show and now you're stuck at work -- what's a poor TV addict to do? Luckily, with TiVo, you have the ability to hop on the Internet and set that show to record remotely. With TiVo On-line Scheduling you can schedule shows to record on your TiVo from any computer connected to the Internet. If you own multiple TiVo's connected by a home network, then you have multi-room viewing. You can start watching a show in the living room, then resume it in the bedroom. Multi-room viewing gives you access to the Now Playing list of any connected TiVo in the house from any other connected TiVo DVR. No need to confine yourself to one room to enjoy your recorded programs. TiVoToGo is a feature that allows users to transfer recordings from their TiVo box to a laptop or desktop PC or mobile playback device. With the TiVoToGo software on your computer, you can first transfer recordings to your PC, then place them onto a handheld portable video player, like Sony PSP, or record your programs to DVD. Currently, to burn DVDs from the TiVoToGo software you must use MyDVD from Sonic Solutions or Roxio Toast 8. TiVo KidZone gives parents the ability to control what their children are viewing by setting up a "Kid-friendly Zone" on their TiVo. In the KidZone, your children have their own TiVo Now Playing List filled with programming chosen specifically by the parent's guidelines on what is appropriate for their children. Some of the other benefits of the KidZone are filtering live TV and password protection. Make sure you know what your kids are watching with TiVo KidZone. A TiVo connected to a home network gives TiVo owners more than just multi-room viewing. With a networked TiVo, TiVo owners can turn their TiVo into a digital music player. Listen to your MP3 music collection from your PC on your TiVo connected to a home stereo system. Another feature available through a TiVo networked to a personal computer is Digital Photo Viewer. Display your digital photos on a TV connected to your TiVo, and it's also a nice way to display your digital photo albums stored on your PC. Looking for the TiVo Media Access Key (MAK)? What's the Difference Between DVR and DVD Recorder?